Liberian President, Ms Ellen Johnson Sirleaf, has been inaugurated as Chairman of the High Level Panel on Migration (HLPM) in Africa at a meeting held on Tuesday in Monrovia. Established in April 2016 by the Economic Commission for Africa (ECA) under the direction of the joint African Union (AU) and ECA Conference of Ministers in Addis Ababa, HLPM is made up of 14 members. The panel aims to push migration issues to the top of policy agenda by engaging major stakeholders and partners. There are an estimated 7.5 million West African migrants in West Africa compared to 1.2 million between in North America and Europe combined. Over the next few months, the HLPM will consult with relevant constituencies at national, regional and global levels to come up with recommendations on how to build and sustain broad political consensus on an implementable international migration development agenda, taking into account the particular challenges of countries in conflict and post-conflict situations. The report will be submitted to the African Union Heads of State summit in July 2018. Also speaking during the launch, ECA’s Acting Executive Secretary, Mr Abdalla Hamdok, stated that Africa was still missing out on the many benefits of migration because of tight border policies. He deplored the fact that Africans need visas to travel to 55% of other African countries. 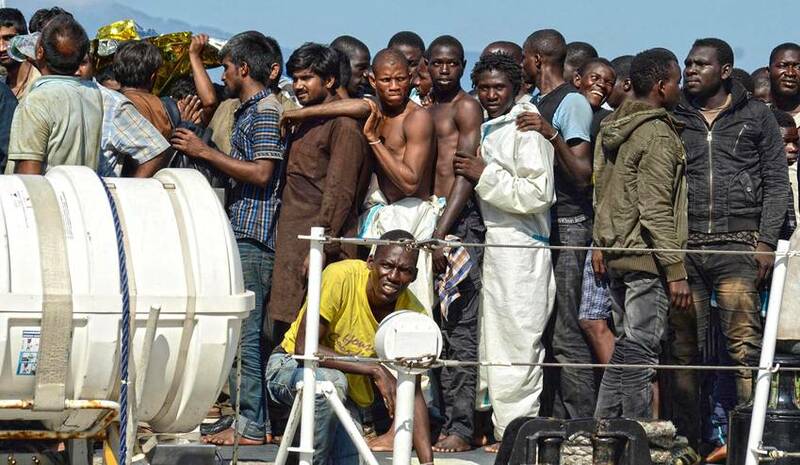 Mr Hamdok also stated that although International media outlets tend to present images of large numbers of migrants crossing the Mediterranean Sea into Europe as being mostly from Africa, intra-Africa migration still dominates migration flows on the continent. This view was also highlighted by Ms Maureen Achieng, Representative of the International Organization for Migration (IOM) to the AU, ECA and IGAD. “Migration from Africa towards other regions is taking place in a much lower level than one might think,” said Ms Achieng. The issue of excessive border controls was also deplored by Ms Alma Negash, founder of Africa Diaspora Network and member of the HPLM. Ms Negash cited Uganda’s acceptance of migrants as good example of what African countries should be doing. For his part, Mr Knut Vollebaek, an HLPM member and former minister of foreign affairs of the kingdom of Norway, said the government of Norway “is very pleased” with the HLPM initiative. Mr Vollebaek expressed hopes about the panel’s ability to achieve its goals.